Post update: Carrier’s Amanda Bailey reached out to me via email moments after I hit post. Another big plus for Carrier’s connectivity. 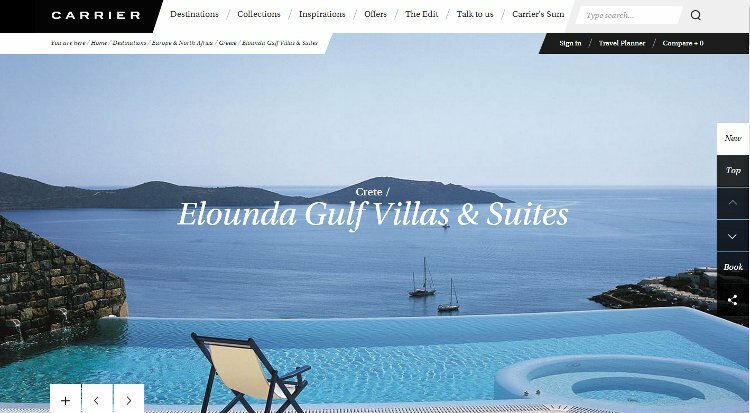 According to Carrier the website development is an ongoing labor of love to show visitors luxury hotels in the Caribbean, Indian Ocean and Arabia, as well as other marvelous destinations. Visually stunning in it’s desktop format, this type of graphic and image intensive website has taken hold where “the experience” of travel meets the mobile and digital age. From the lifestyle magazine The Edit, to the gripping Sum (Summer menu of events), Carrier has done a nice job of presenting beautiful destination and valuable services. The Carrier team contacts pages – the best I’ve seen in a while. Finally, one aspect of digital connectivity most travel entities lose sight of is the people connect. In my estimation Carrier has caught on here by presenting their team, showing the connective points to them, and putting that smiling face on tourism credibility. 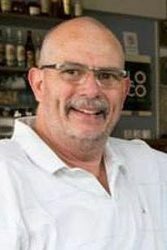 Check out the team page for Europe above, take note of the email or other connects to this travel expert. Even though the live chat aspect was not answered immediately (I could not resist) the capability and other connectivity are impressive. Later on this month we’ll run a comparative of our own featuring Carrier versus some other notable luxury travel websites to include their mobile functionality etc. Stay tuned.